If a Learner has passed Grade 12, with English, a Second South African Language and Mathematics and Mathematical Literacy, then the Learner will be exempt from completing the choice subjects below. Learners will therefore not be required to register for any choice subjects. If a Learner has not passed Grade 12, it is compulsory to register for the 3 choice subjects below, in order to qualify. Possess full insight into commercial sporting world in order to be eligible for positions at sports clubs, sports clinics, sports associations and councils. The course is an ideal entry level to the Sports Management Industry and an excellent broadening of Qualifications for the Sports Administration Practitioner. The course offers a strong practical focus designed by experts in the Sports Management Industry. 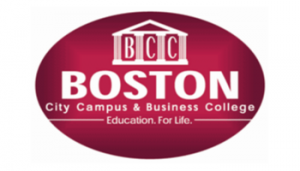 Boston City Campus & Business College is the training body for Cricket SA. Sports Modules are available on a full-time, part-time and correspondence basis.